$12.99 to $14.99 & FREE Shipping on orders over $59 $35. 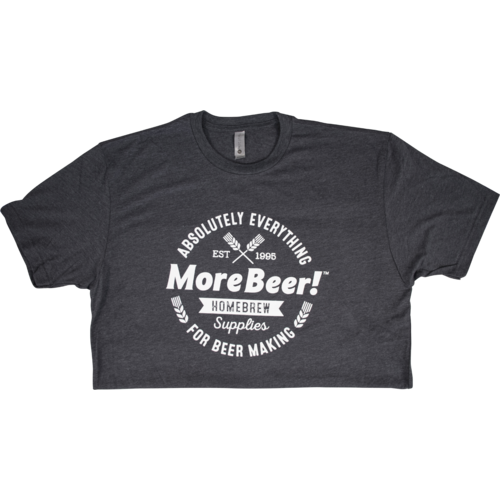 Let people know that you shop at MoreBeer! The brew shop that has absolutely everything for homebrewing! Comes on a nice charcoal colored t-shirt and in all sizes from Small to 3XL. This is a very comfortable shirt that fits true to size. It looks nice too.